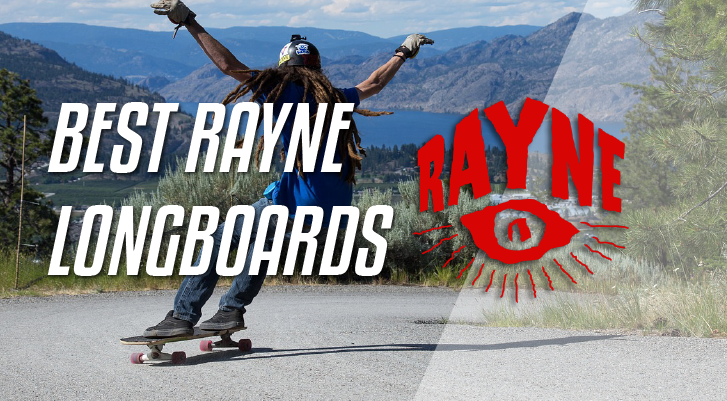 →Rayne Longboards Review – A Brand For Advanced Riders? Rayne Longboards Review – A Brand For Advanced Riders? Should you get a Rayne board? How do they compete against brands like Landyachtz, Sector 9 or Arbor? We will guide you through Raynes offerings to help you decide whether or not your next deck should be a Rayne one. We’ll look at their board types, strengths and weakneses. Let’s get started! In general, the boards included in the Deelite series are made of a construction that allows considerable weight reduction. They are among lightest and strongest production longboard decks on the market today. There are different types of decks featured in this series. Construction of decks here range from bamboo to carbon fibre constructions. Making the boards very light weight, responsive, stiff, durable and agile. Lengths range go up to 36 inches making them Suitable for faster speeds. Widths range from 9.5 to 10. This gives both people with larger or smaller feet options. Wheel bases range from 24 to 33. Providing boards that are both stable, harder to turn, but also boards that will be less stable and more responsive. Construction usually consists of vertically laminated bamboo constructions. This is a great choice for downhill boards as bamboo is lighter, more durable and responsive. Being stiffer makes it also more suitable for sliding. Wheel bases range anywhere from 21.5 to 28.5 inches, giving riders a range of choices for more stable rides to carry and stable rides. First off – Rayne Slide series usually have only decks. Each deck features a “Vert-Lam Bamboo Core” and “Pre-tensioned fibreglass” construction. Making it light durable and some what stiff. The top mount and twin shapes help you have more flexibility when sliding as you can ride switch, whilst having greater control over the slides. The deep tub concave helps lock your feet in. Overall they fit their name very well. Thanks to their construction, boards in this range are suitable for sliding and free riding. Boards in this range are all top mounted. The drop platforms, gas pedals and sharp edges will all work together to help you lock your feet in, when doing slides. Tails will also help give you leverage for doing certain tricks. All boards in this range have a drop-through design.Making them lower to the ground, more stable and easier to push sideways. The drop through mounted design also gives you some flexibility as well since they can be top mounted. Lengths range up to 42 inches. The larger sizes for these boards make them comfortable for cruising and commuting. These decks provide Vertically Laminated Bamboo Cores, Pre – Tensioned Triaxial Fiberglass, and KISS Construction. They have large range of options for people to choose, whether they want something more suitable for fast riding or long distance cruising. The camber provides you more leverage to turn your trucks. Making it easier to carve. Most boards in the mini cruisers are simplistic and portable, with some featuring slight tails and “pop” for popping ollies.The smaller sizes are easier to carry and are therefore more agile. Rayne’s downhill wheels (Envy) diameters range from 64 to 70’mm. Giving a nice balance between acceleration and top speed. I recommend the 70mm for most boards as they will roll over more debris whilst lasting longer. Contact patches range from 32-38mm. Making them great for drifting as the wheels will have less grip and slip out a bit easier. Envy’s come in the durometer choices, 77, 80 and 98 a. The lower durometers provide a bit more grip whilst the higher durometers provide faster speeds but less grip, depending on the surface. Cores: Envy’s have either a center set or offset core. Centre set Envy’s provide a bit more even wear. Envy’s with offset cores will provide more grip. Rayne’s Lust wheels are Rayne’s take on downhill wheels. They range from 70-75 mm in diameter, leaning towards the faster side, and making them easier to roll over things. Durometers range from 77- 80a. Making them grippy on rough terrain. Contact patches range from“56-58” mm. Proving greater traction and grip. Also Wheels in this range are centre set. Additionally, wheels in the Downhill range are all square lipped. Providing greater grip and control. with “65mm 75a stoneground wheels”. Providing fast acceleration, suitbale for urban environments. The durometer will provide a high level of grip. Some may see the boards as being expensive, however, Rayne boards undoubtedly provide great value for their price. As each board features lots of features, high-quality construction, comes with aftermarket trucks, wheels, and bearings. Completes are also ready to roll straight from the box. The carbon fibre, bamboo and fibreglass mixtures for construction materials provide great durability and performance. So you should be able to shred these decks for a long time. Rayne has produced boards that offer a high-quality option for every type of rider, whether you are wanting to free ride, dance, cruise or bomb hills. Rayne has appropriately geared each board to suit its intended purpose, for example the downhill boards have top mount designs, whilst dancers or cruisers have drop throughs and top mount options. The included trucks and wheels are aftermarket products rather than generic components. Each board has been set up with trucks and wheels that suit it appropriately. Whilst the wheels are good quality, from my own experience, the “lust” wheels thane quite heavily, and may not be the best option for beginners. Since if you are learning how to slide you could flat spot them easily. This also means that the wheel may not last as long as others. You can learn more about longboard wheels in our guide. 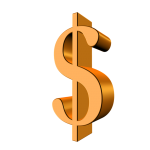 One con could be the somewhat high price, as it may be an option too expensive for beginners. However for the features, quality and value Rayne offer, they may be hard to beat. That said if you’re starting out and just want to find a cheap board to see if it’s even for you, you’ll be better off by getting one of the beginner longboards we’ve covered in our guide. 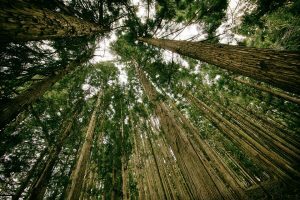 Whilst other brands like Landyachtz and Arbor have some sort of environmentally friendly program, helping give back the communities and the environment, Rayne does not seem to have any sort of equivalent program. If you’re someone like me, who care’s dearly about our environment, this is a real con. Whatever type of skating you are into, if you are looking for a deck that will give you a load of features and value, Rayne should suit quite nicely. Whether you’re an intermediate or beginner looking for a new board you should be able find something that will suit you for a long time, whilst not being too hard on the wallet in the long term. Remember you get what you pay for.